I am a 500 HR-RYT. I teach lightly or non-heated, Anusara and Ashtanga-inspired, vinyasa flow with my own flavor. I am most excited when as a catalyst for dramatic change, I’m able to guide practitioners find the best of themselves. That smile after the first wobbly arm balance, the energy that changes from “I wish” to “I can” and that beautiful moment when the human I am with experiences those victories drives me to be engaged in every person, wondering all the time, “how can we get there together?” When I practice now I am listening to the constant feedback loop, and listening for what I can bring out of my body and back to my teaching. My practice is currently strong, athletic and balanced. I see yoga as a pathway to appreciating my body as a force and a tool, not as an object open to judgement. When practitioners come to my class they WILL sweat, move and make room for breath and personal growth. I have learned I can bring the curious yogi all sorts of opportunities, and the mat is a great place to be in the practice of seizing opportunity when it arrives. In my class, you will find many chances to play at your edge while you learn technique and mastery. Reach me at jen@montroseyogacoop.com to schedule private yoga or for questions. I am a personal chef and a 200 HR-RYT. I have passion for people, food and living a well balanced life. When I started my practice I was very hard on myself mentally and physically. I realized that I could not expect my body to do the same things that it did 20 years ago. That’s when learned to balance my practice between Yin Yoga and Power Flow, I started to take better care of myself and I slowed down. My intention in my teaching is meet my students where they are at right now, in their life or on their mat. You can expect a grounded, slow-moving practice and to access yoga in a new way in my classes. Being outside, riding my bike and loving on my dogs are some of my hobbies while I am not preparing meals or teaching yoga. Reach me at Tilly@montroseyogacoop.com to schedule a private yoga session or for questions. I found yoga in 2011, and in my college bedroom began to develop a self practice. Post-college, coinciding a marketing career inception- I earned my 200hr YTT Certificate in Houston. Curious by nature, a forever student, I'm currently a student of Robert Boustany, at Pralaya Yoga in Houston, in conjunction with a regular Ashtanga self-practice - I work to find synergies within yoga methodologies, and bring that practice to my students. Last year I taught yoga overseas in Thailand, Bali and India. These experiences transformed me as a teacher and continue to deeply influence my teaching-- change is a constant. I encourage students to center breath at the core of their practice, intentionally integrating breath awareness and mindfulness into daily life. My light-hearted style of teaching speaks to beginners. I request all my students to drop expectations prior to starting class approaching their practice with an open heart and curious mind. Drop me a line at Sarah@montroseyogacoop.com to discuss private yoga for all levels. I can be reached at saumil@montroseyogacoop.com to discuss private sound bath or yoga sessions. My teaching style has developed over 20 years and been influenced by some outstanding teachers. Ana Forrest and the Forrest Yoga system has been inspiring me since 2004. When I took my first class with Ana I new right away that my yoga practice was about to get up-leveled, rinsed out and re-examined in many ways. The dedicated focus on the pillars of Forrest Yoga: Breath, Strength, Integrity and Spirit have helped me build trust in myself and confidence through clarity. Instead of simply believing a concept Forrest Yoga has taught me to feel and trust my own experience as the truth. In this way I have grown at my own pace and learned from my mistakes and my gifts. Everyday my yoga practice teaches me the importance of breath, how to skillfully breathe and feel my body's ability to change and heal. I have felt space and sparkle glowing inside me and I can command a position on my mat and in my life. I am grateful for all my teachers, including my students and my closest mentor, my breath. I have been teaching yoga in Houston for 20 years and am one of the founding Forrest Yoga Guardian (Mentor) teachers. I have been training teachers since 2007. Once upon a time, I was the owner of Jennyoga Studios. For nearly a decade we were located in the heart of River Oaks between Weslayen and Edloe on Westheimer. Those were wonderful years with so many fond memories of connection and heart opening experiences on the mat. During my tenure as a studio owner, I also founded the Texas Yoga Association, the Texas Yoga Conference, and Breathe the Cure (Breathecure), a nonprofit dedicated to raising consciousness through educating others about quality breathing programs and yoga. Besides yoga, I have studied traditional and transpersonal psychology receiving a Masters in Transpersonal Psychology in 2010, and in 2004 spent an entire summer in Irvine, California to become a Master Trainer of Neuro Linguistic Programming, Clinical Hypnotherapy, and a modality called Time-Line Therapy. I studied Jewish mysticism and early Christianity receiving a Doctor of Divinity degree from Spiritis Church and Seminary with Bishop Glenda Green in 2003, and escaped to China for over a month to study Feng Shui and become a practitioner in 2002. In between all of that, I have taken numerous certifications in Body Talk, EFT, Shamanism and dowsing. I like studying energetic systems and flow, what makes people tick and behave in certain ways, and whole-person healing and well-being. Hmmmm...One lifetime may not be enough. There are so many amazing things to learn! When I was young, I went to yoga classes with my mom. She believed that through learning to focus my mind, slow down and connect with my body, I could channel my energy in a beautiful way. For many years my practice ebbed and flowed but was always present. Whenever life became hectic, I found refuge on my mat. As I was caring for my father through his passing, I committed to a teacher training program at the Houston Yoga and Ayurveda Ashram. This was the deepest act of self-care I could envision. With love, guidance and support, my practice became profoundly personal. I cannot count the many gifts yoga has given me, I can only work every single day to give them away. I attained a 200 Hour YTT certification in Hatha/Raja Yoga. Every day I aspire to expand my practice. Forever a student, I am learning and growing as a human, yogini and teacher. I have been teaching kids yoga for 4 years, and that's the latest chapter in my role with children. My husband of 24 years and I have 2 grown children, and 5 wonderful grandchildren, who practice kids yoga (except for 1 who is very busy with little league). I am a former preschool teacher and have an active yoga and meditation practice. My favorite part of teaching kids yoga is when I see the joy and feel the connection of the children as they master poses, quiet their minds through meditation and discover the FUN of yoga through poses, games and stories. Sat Nam, my name is Preet Mandevi Kaur and it is my honor to connect with you all and share the teachings of Yogi Bhajan through teaching Kundalini Yoga. My journey through yoga, the breath, meditation, and raw foods has taught me that healing is multi-dimensional. Kundalini Yoga, the yoga of awareness, is my favorite technology to use to heal my bodies on a deeper level. I was blessed to have been able to take my 200hr Kundalini Yoga teacher training in Española, New Mexico this year. I am passionate about Group and Global Consciousness healing, and I practice several healing modalities. I work with Reiki energy, Access Consciousness, Energy Face-lifts, and Sat Nam Rasayan. I build free energy devices, EMF protection pyramids, spiritual tools, and crystal jewelry. You can find me on Instagram by clicking here! I practice here in Houston as a naturopathic doctor, acupuncturist, herbalist and mindful movement specialist. I teach a fun and active all-levels holistic movement class that focuses on using a variety of movement practices including yoga, strength and stability work to help people become better and more well-rounded movers, whether that means in yoga practice, at the gym when doing pushups, going on a walk through the neighborhood, or even breathing. My movement background is a combination of my work with yoga rooted in the Krishnamacharya lineage since 1999, and more recently over the last four years studying the Ido Portal Method (if you’re curious about that, google it online. It’s very interesting!). 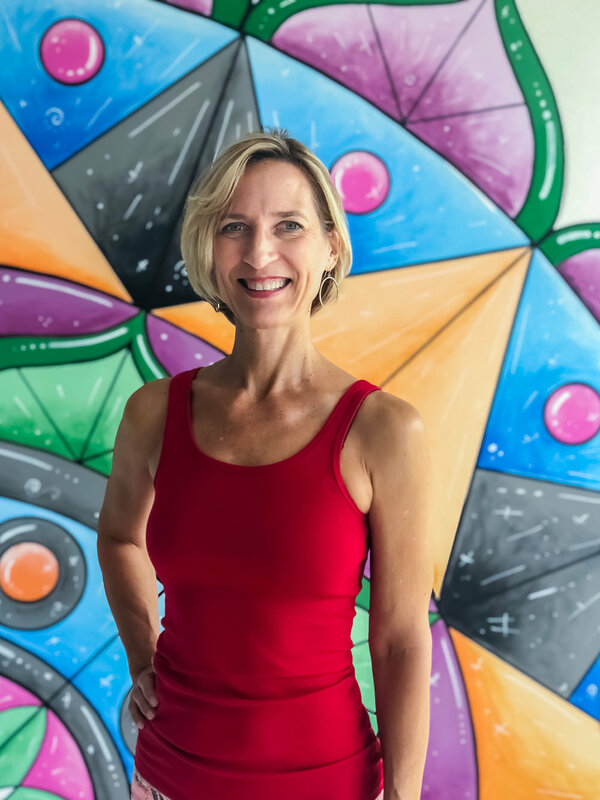 I’ve been teaching yoga and movement since 2003 and graduated from an accredited five-year naturopathic medical and acupuncture program in 2017. My schooling was followed by a primary care naturopathic residency where I worked with a wide range of patients, from kids to adults. I am also board certified in biofeedback and mind body medicine and have done a lot of advanced coursework in orthopedic and physical medicine. As a teacher and healer, my greatest passion and skill lies in helping people to become more aware of and change the habituated physical and energetic patterns that keep them from healing, staying healthy and strong, or achieving their goals and dreams. Through my own journey as a student, patient, doctor and teacher, I’ve come to believe deeply in the power of movement, breathing and stillness to help us become more compassionate and resilient human beings. If you have any interest in learning more about my clinical practice or setting up a naturopathic and acupuncture appointment, or private lesson, please email me at lance.westendarp@gmail.com.